To view a larger image, please click here or hover over the photo above. We remind you to refer to the artistic process shown on the left side or see the video available on the right side referring to the artistic process. 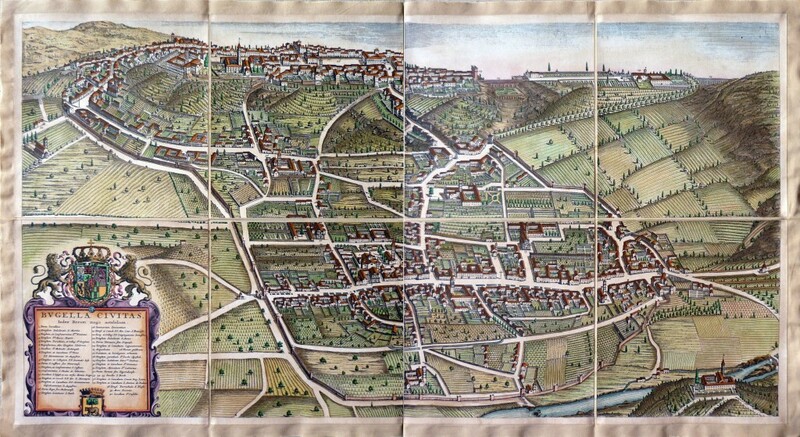 This artistic reproduction of a vintage map was made using modern graphic procedures, but obtaining the results found in the antique copperplate engraving technique, as one can easily find out by lightly rubbing his/her finger on the map. 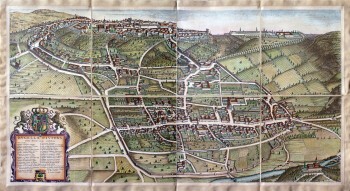 This map, which is an exact reproduction of the original antique, is printed on cotton paper panels which are glued and mounted on a cotton cloth background "a stacchi" (slightly separated from each other), in order to allow for folding and easier transport. Finally, map is water-colored by hand making it a truly unique piece, worthy of the original old print.